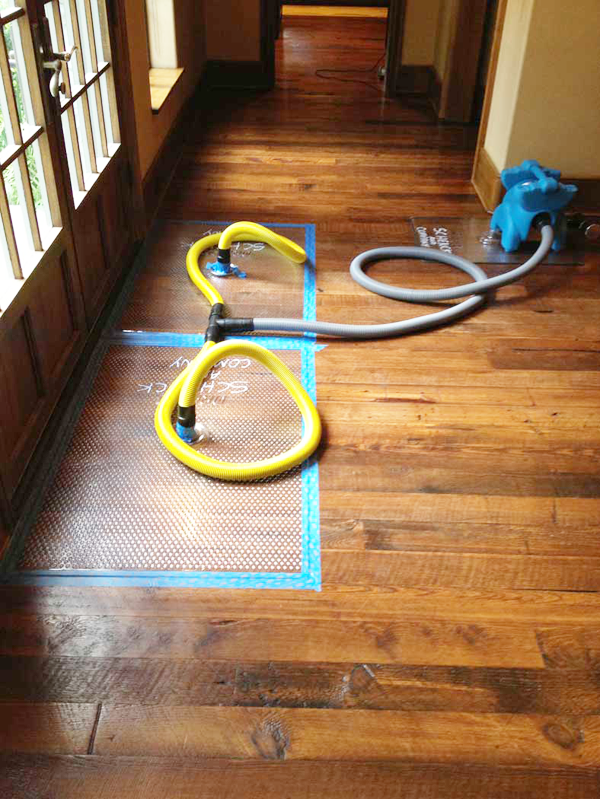 At Schenck & Company, we’re happy to announce that we have a new tool in our wood floor repair kit: floor-drying mats. These highly efficient mats can help save wooden floors that have been damaged by plumbing leaks and even minor flooding. They work much more quickly than dehumidifiers alone and they’re substantially more cost-effective than wood replacement. 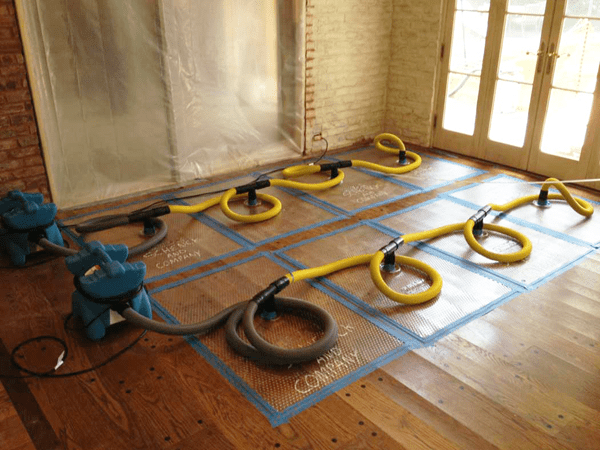 Floor-drying mats use the power of a high-pressure blower to vacuum water vapor right up through the floor surface, replacing it with drier air. The mats are available in varying sizes that can be configured to fit rooms large and small. This flexibility means that multiple areas can be dried with one machine, with much less intrusion than the traditional tenting method. Best of all, since the floor-drying mats work so efficiently, damaged wood floors rarely have to be replaced and, in fact, often don’t require refinishing. Floor drying mats can be used to dry large areas or small ones, where water may have leaked under a door, for example. The mats can be applied directly onto the wettest areas of the floor and configured in whatever pattern best suits the situation. 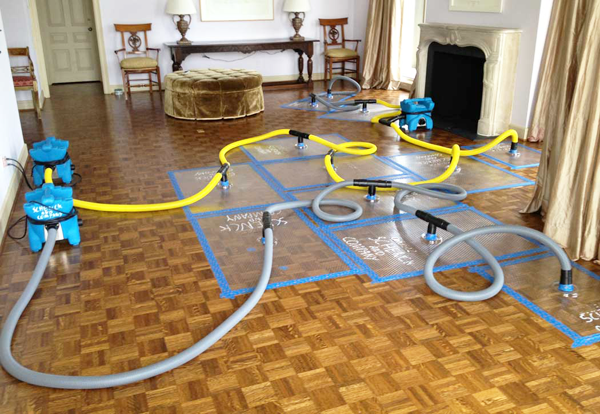 Multiple mats can be hooked up to one vacuum, reducing the time it takes to dry a large floor. If your floor sustains water damage – whether it’s from a malfunctioning freezer, a wayward icemaker, a leaky bath or heavy rains – don’t wait. Call or email us to set up an appointment. We’ll determine the solution most appropriate for your specific situation. So your fine wood floors will look their best. http://www.schenckandcompany.com/schwpngn/wp-content/uploads/2014/09/logo.png 0 0 Schenck & Company http://www.schenckandcompany.com/schwpngn/wp-content/uploads/2014/09/logo.png Schenck & Company2013-08-30 00:39:182018-06-13 21:32:58Water damage? We can fix that. What’s your favorite finish? Wood floors as nature intended.